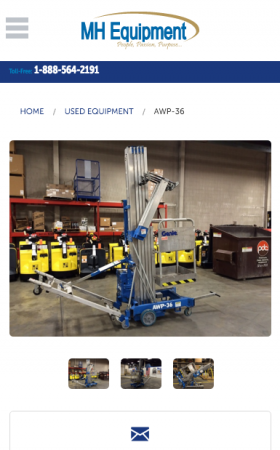 MH Equipment, a 27-location full-service material handling provider based in the midwest, had traditionally performed all business transactions and lead generation offline. They sought to attract more business by modernizing their website and strategically enhancing their digital advertising efforts. In 2015, they tapped Adpearance to create a better buying experience that would drive more sales. To ensure the best possible buyer journey, we redesigned their site for better conversion pathways prior to launching highly strategic paid search campaigns to drive more quality digital traffic. 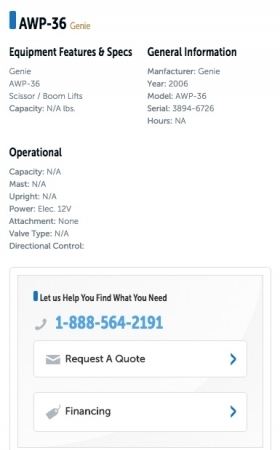 MH Equipment’s previous website wasn’t efficient from a lead generation perspective. Some of their potentially highest converting pages (e.g. “New Inventory” & “Contact Us”) were hidden under navigation tabs, form submission opportunities were hard to find and difficult to fill out, there weren’t additional contact methods (e.g. phone numbers), and the mobile experience was weak. Their digital advertising campaigns had to balance multiple manufacturers, locations, and equipment types, but lacked the structure to deliver the best results. Because of this, their ads didn’t show up in general, category, or inventory searches, causing them to lose out on valuable leads. 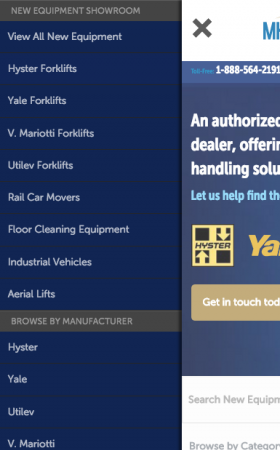 MH Equipment’s digital presence had severe limitations, including a website that lacked lead conversion efficiencies, and ads that weren’t showing up for searches with the greatest buying intent. 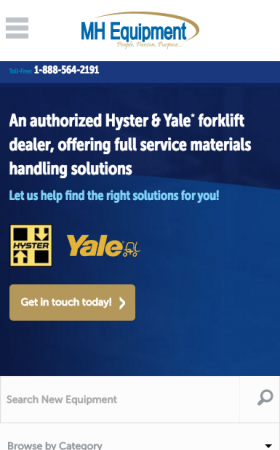 Our goal was to help support the great work their sales team was already performing offline with an optimized online presence, including a conversion-focused website and robust digital advertising strategy to support sales and drive leads. Identification of who MH Equipment is, what they do, and the markets they serve. 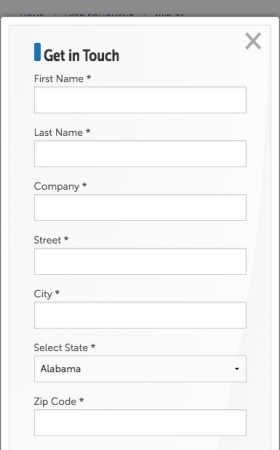 Mobile-friendliness so users can easily engage with the site, regardless of device type. 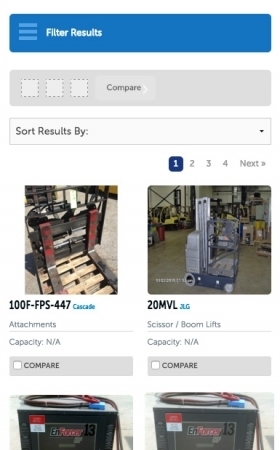 Equipment with sort, filter, and compare features to provide better buying information to users. After launching the site, we began digital advertising efforts for 10 test locations to drive extremely targeted users to MH Equipment. Our campaigns balanced multiple manufacturers, locations, and equipment types with branded and remarketing efforts to deliver the best results. Impressed with the quality of the leads from this “soft launch,” MH Equipment more than doubled their annual investment in Google AdWords and engaged us to manage paid search campaigns for all 27 locations. In total, we launched 59 campaigns and 931 ad groups targeting 88,000 keywords. We managed 3,000 expanded text ads that included custom ad copy for each OEM, location-specific variants, and fully equipped ad extensions. By pairing our website and digital advertising services together, we were able to improve the entire shopper journey and increase digital conversions. With rigorous testing, optimization, and a granular approach, the Adpearance team increased click-through rates, decreased cost-per-click, decreased cost-per-lead, and increased conversions quarter over quarter. “Adpearance helped us get the largest deal we’ve ever landed in our 65-year history. Like what we did for MH Equipment?